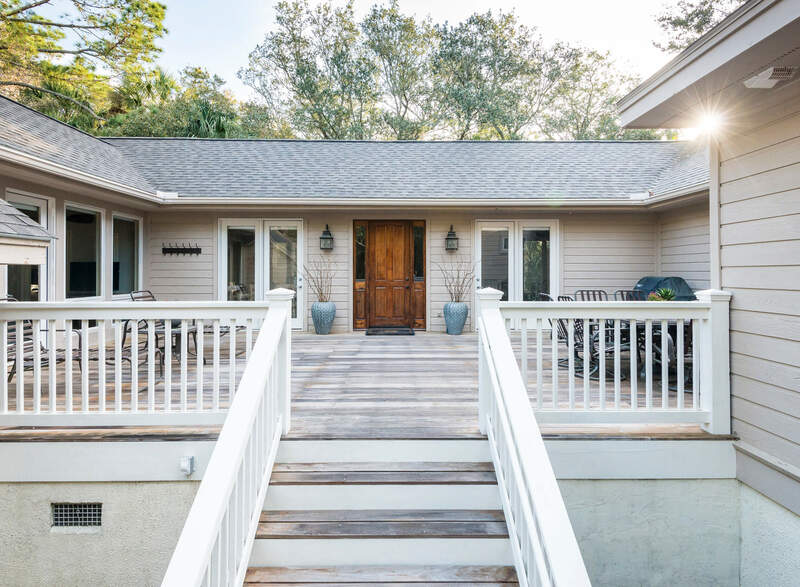 Situated on a large corner homesite just a mile past the second security gate, 131 Spartina Court enjoys a prime location in the heart of Kiawah with the beach, award-winning tennis and golf, swimming facilities, and shopping and dining all just a short bike ride away. 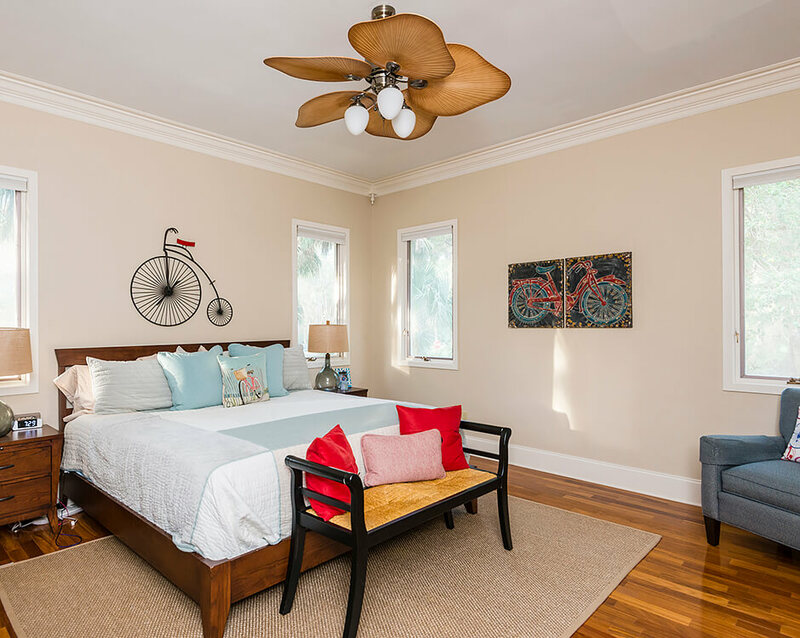 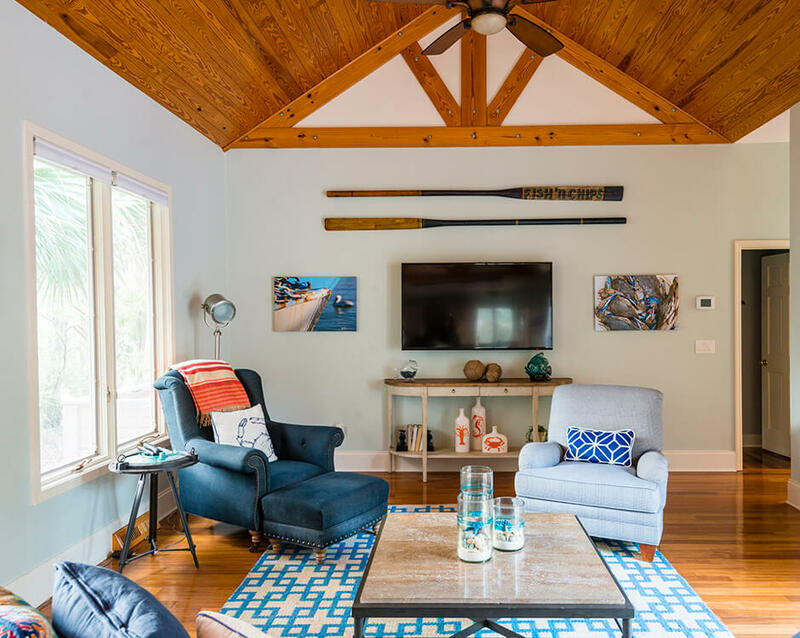 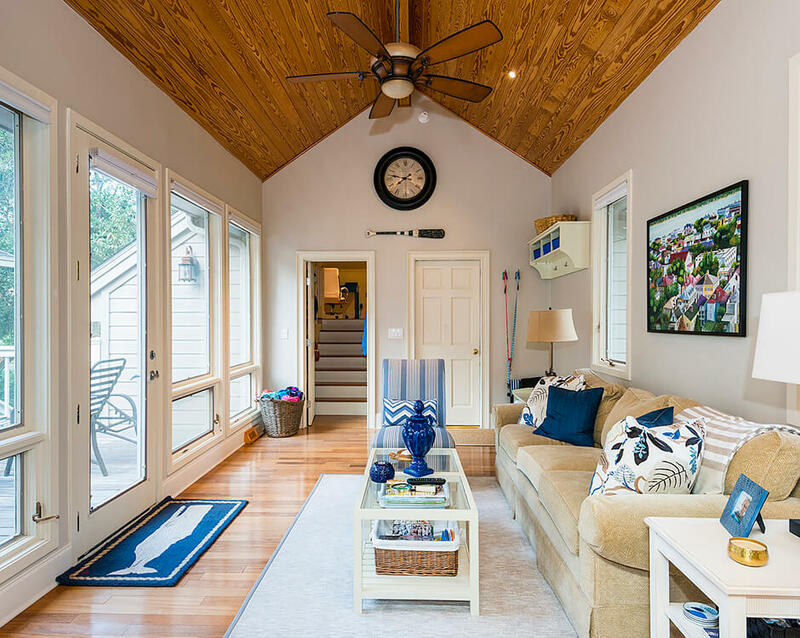 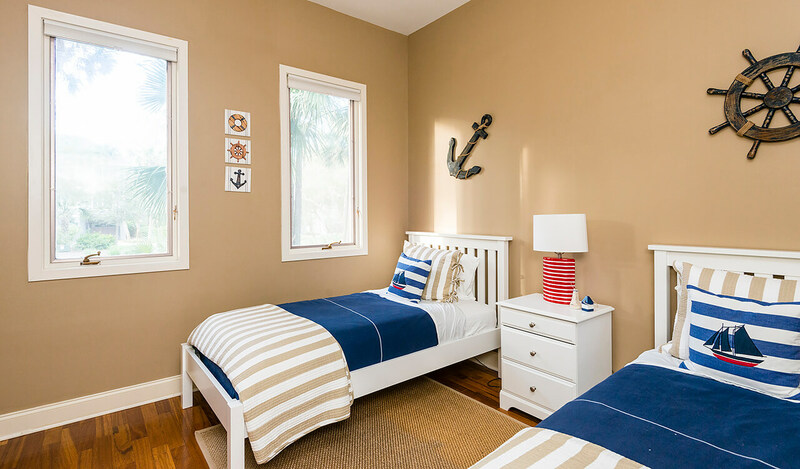 A large front deck is an inviting entrance to the one-story home, which has been beautifully updated with high-end finishes, premier appliances, and casual yet tasteful coastal furnishings and decor. 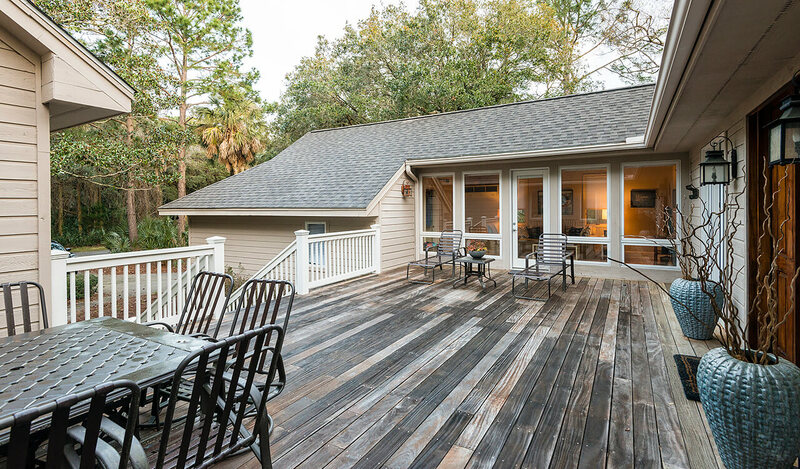 The ipe deck offers ample space for both an outdoor living area, as well as al fresco dining space. 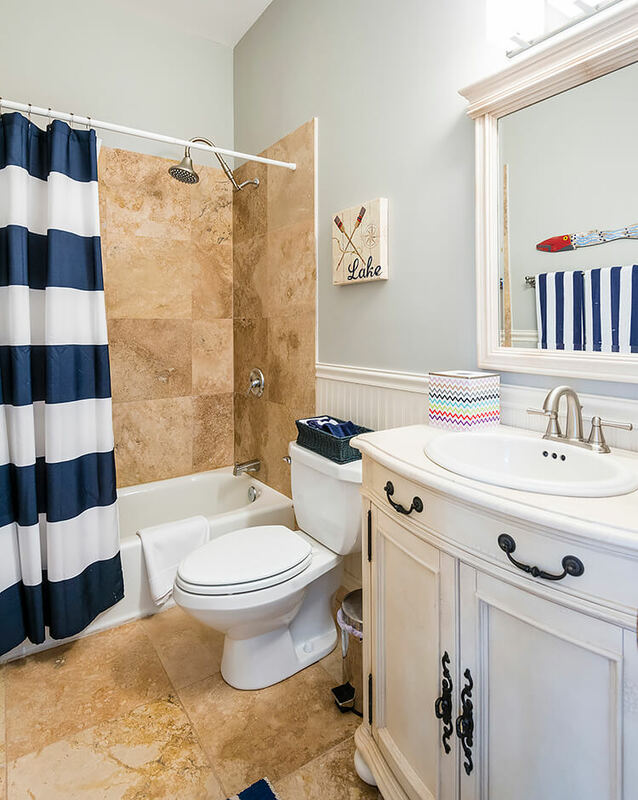 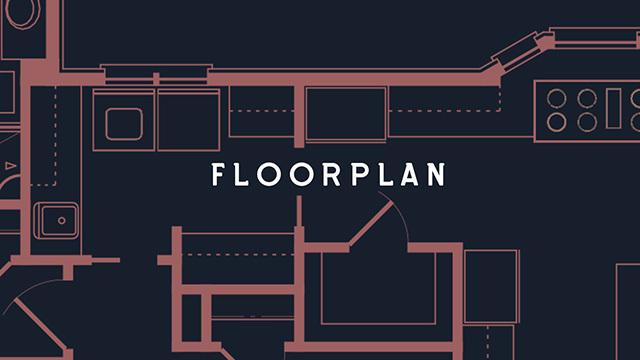 The floor plan is extremely spacious and open with 10ˈceilings inside the four-bedroom, four-and-a-half bath home. 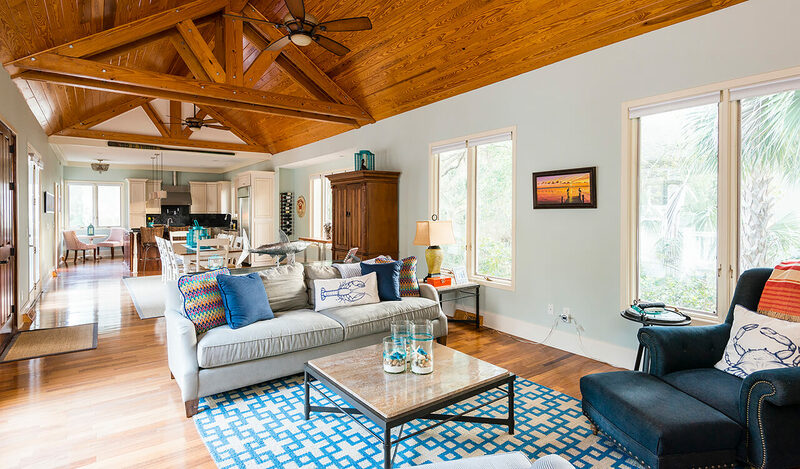 In the great room, pine wood-planked ceilings with attractive wood trusses are tall and allow for abundant natural light to fill the space. 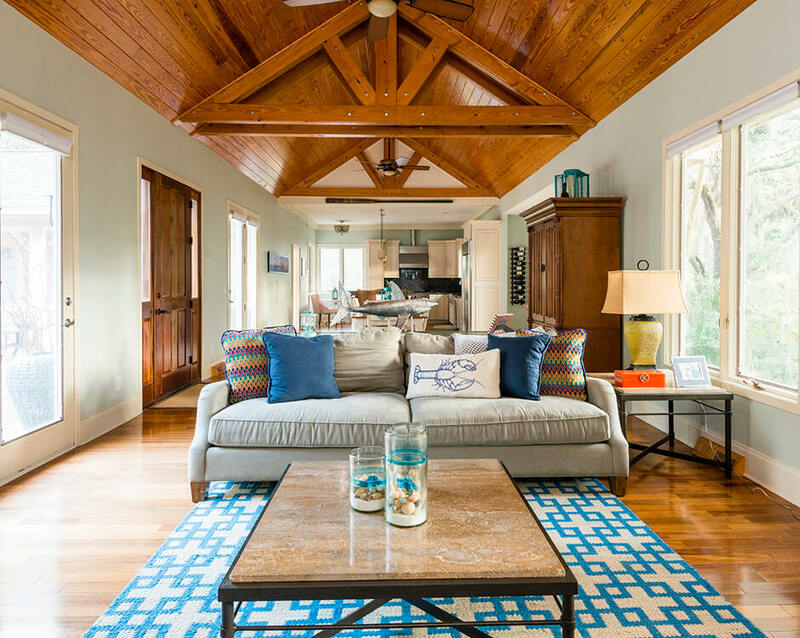 Exquisite teak hardwood floors are also found throughout. 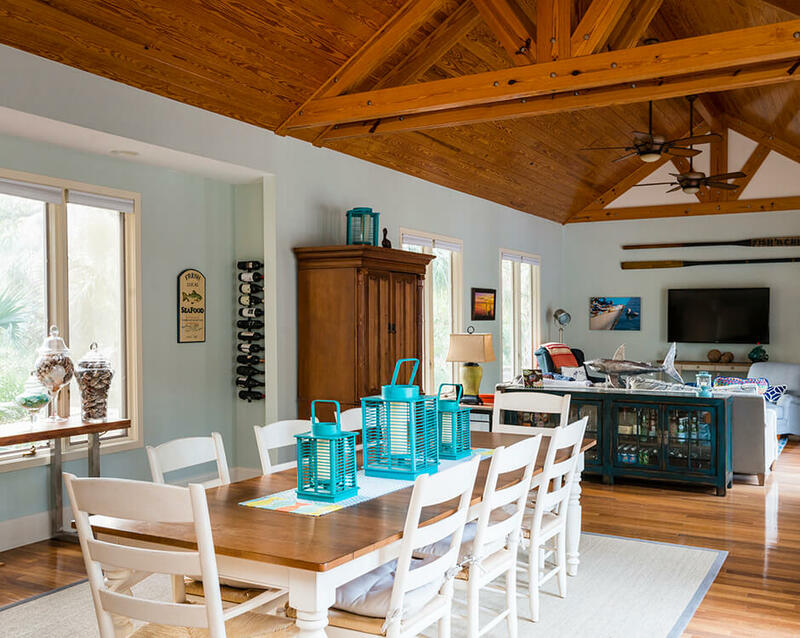 The open living room and dining are perfect for easy entertaining with the beautiful chef’s kitchen open to both. 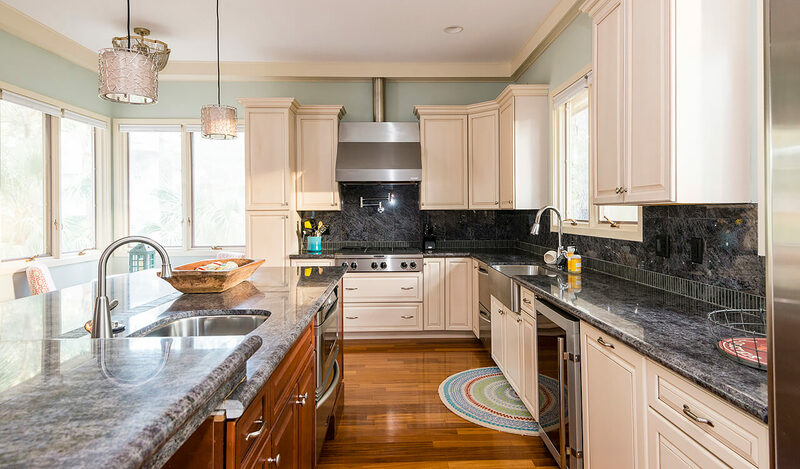 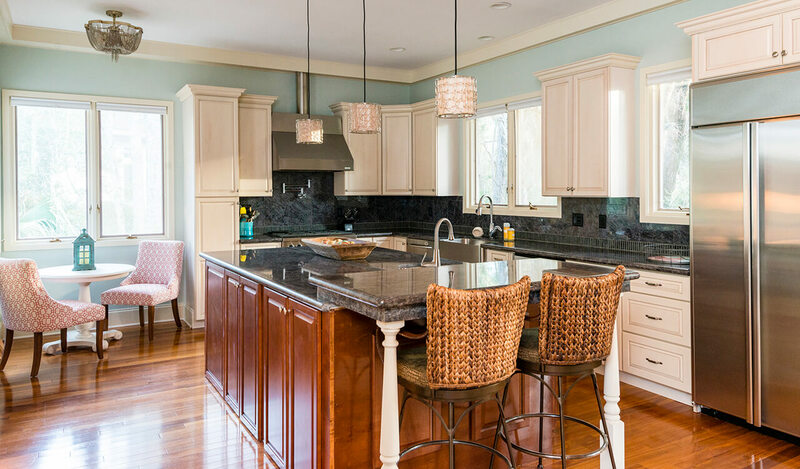 The fully equipped kitchen has it all - custom cabinets, granite countertops and backsplash, a large center island with seating, and two sinks (including a farmhouse style sink). 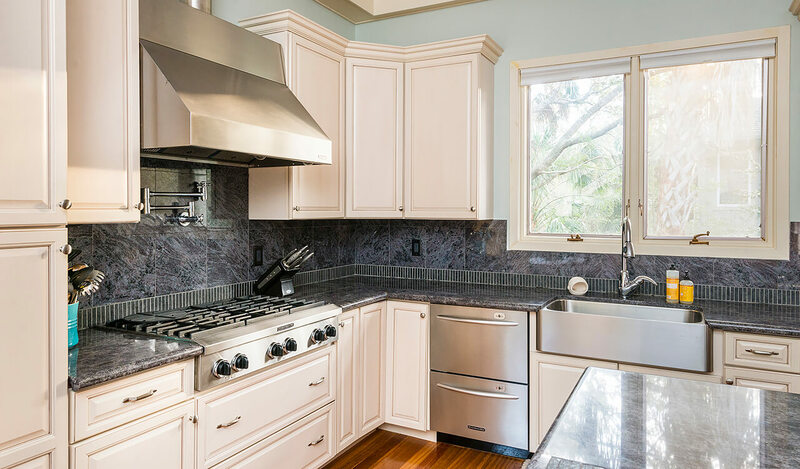 The stainless steel appliances a include GE Monogram® side-by-side refrigerator, a KitchenAid® wall oven and six burner gas cooktop with Broan® Rangemaster vented hood, KitchenAid two-drawer dishwasher, microwave and warming oven, and a wine cooler. 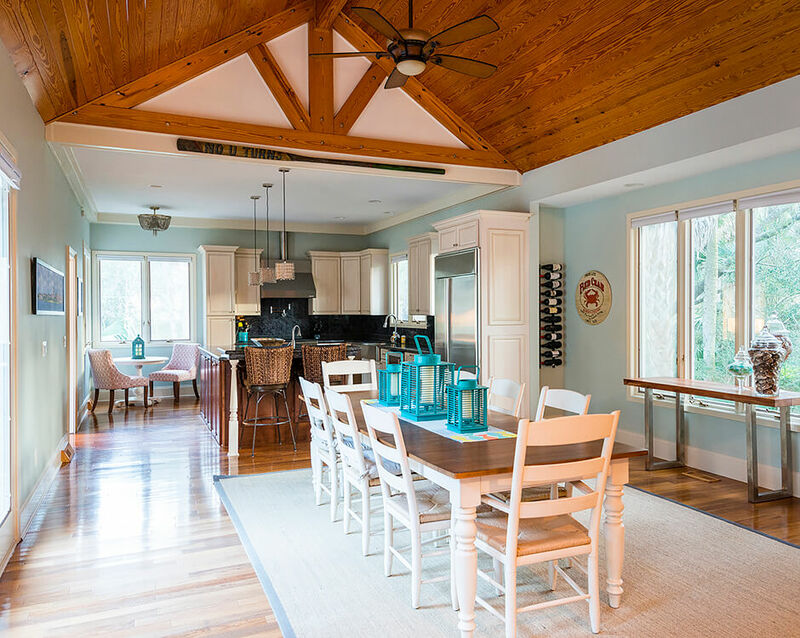 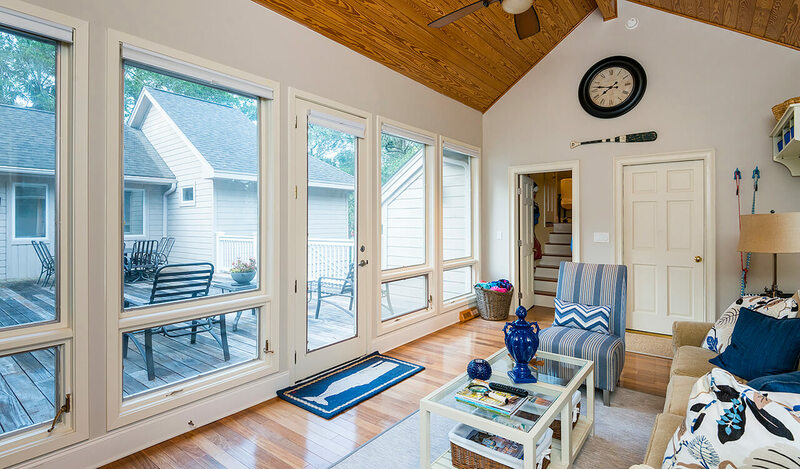 The light and airy sunroom just off the kitchen is an additional retreat and perfect place to enjoy meals, access the large deck, or simply relax with a glass of wine or good book. 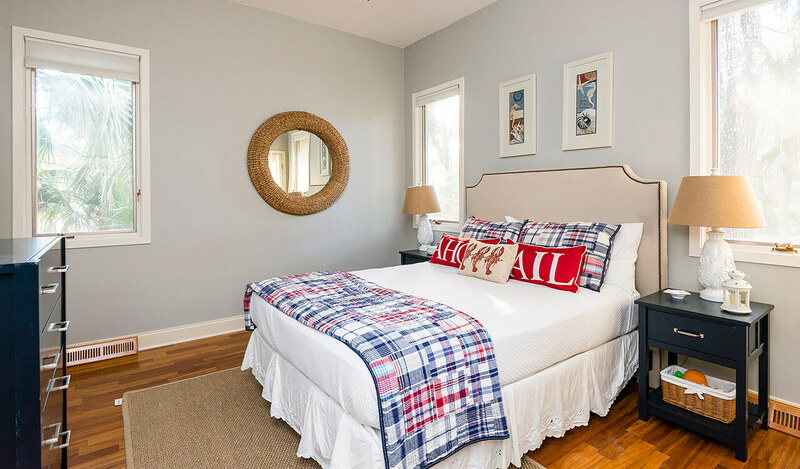 The master suite has a substantial walk-in closet, as well as a sizable bathroom with a whirlpool bathtub and standalone shower. 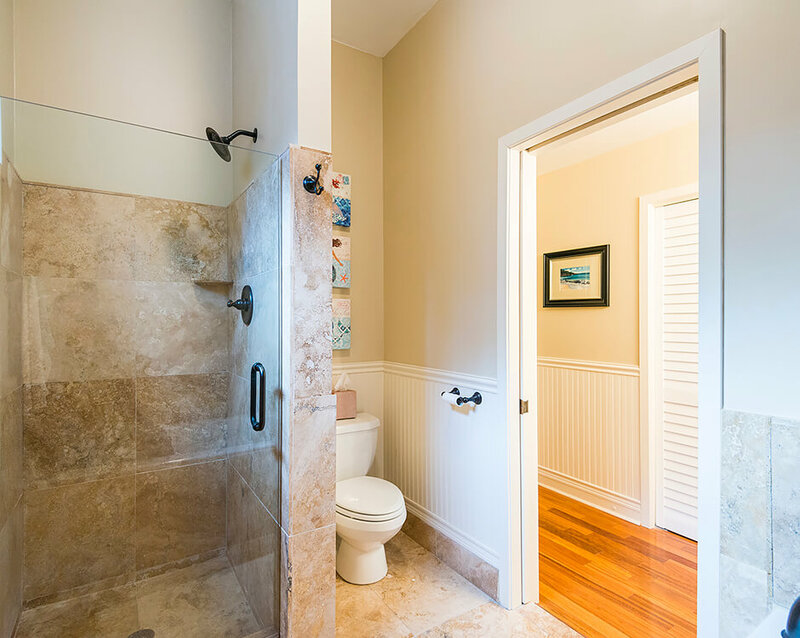 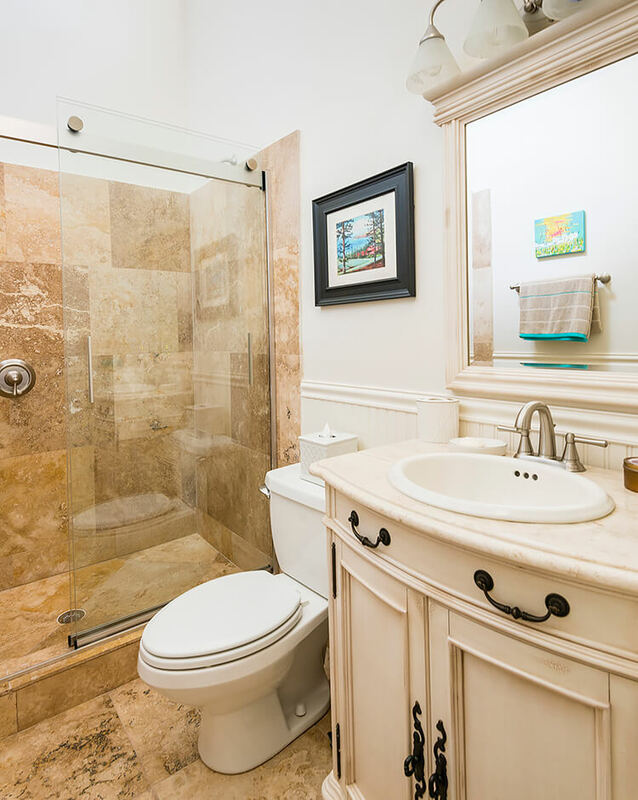 Each guest suite also has its own private bathroom with beadboard accents, travertine floors, and custom vanities. 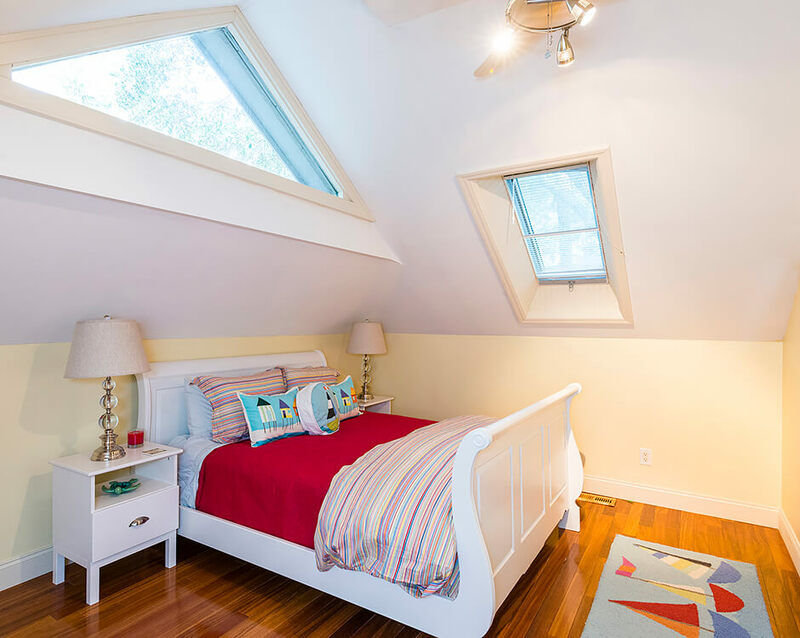 A fourth guest suite above the two-car garage is an ideal space for an office, teen area, or mother-in-law suite. 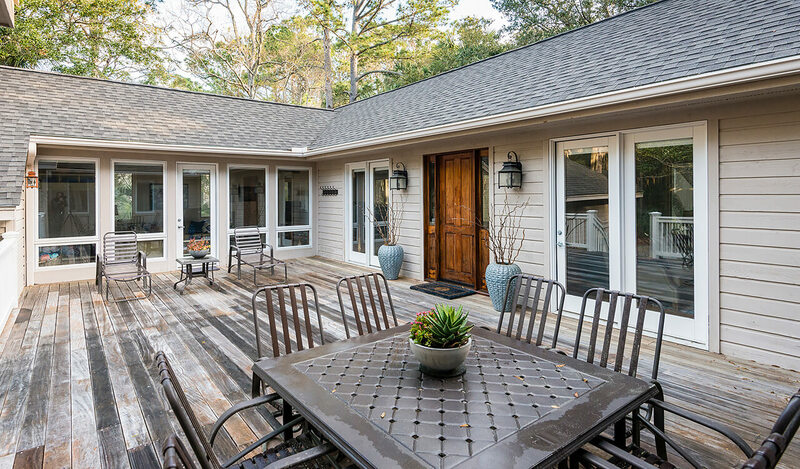 131 Spartina Court is available furnished with exclusions.